FLOwer Evolution is a unique vessel concept from GlassDesign, an Italian Plumbing Company in the heart of Tuscany. 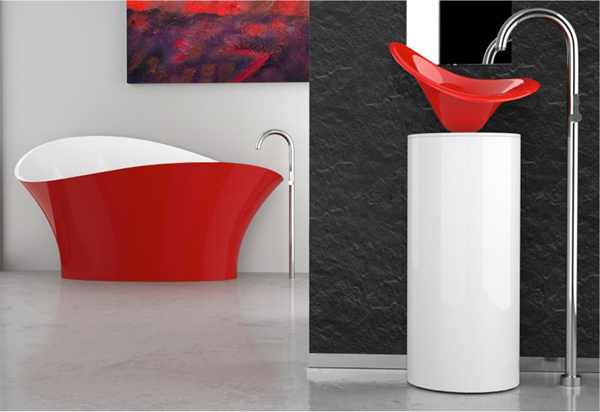 Designed by Marco Pisati, the organic inspired tub and sinks draw inspiration from the Calla lily. 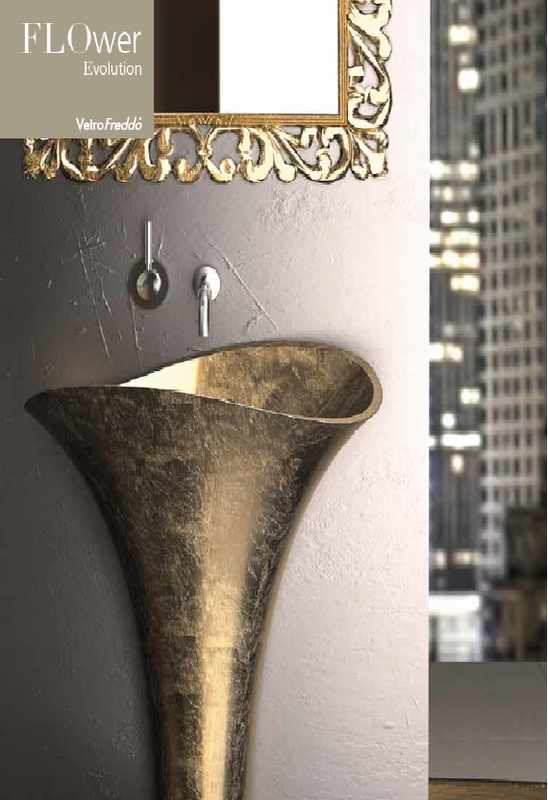 With the calla lily’s distinct shape, the faucet is reminiscent of the pistol, promoting an exotic and extremely artistic design. 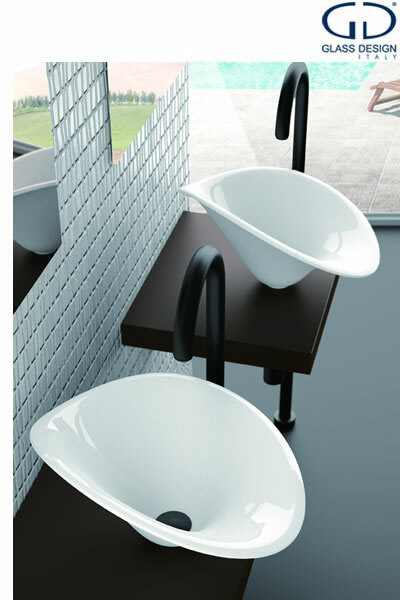 The series is manufactured with state-of-the-art materials such as VetroFreddo, Pert, and Inox, which enhance its artistry. VetroFreddo (CoolGlass) is an innovative material composed of glass pigments and resin. Its major characteristics are its versatility in adapting itself to any form or shape imaginable. The material’s unique characteristics are expressed through colour, which is available in transparent, semi-transparent or opaque form. VetroFreddo is temperature resistant up to approximately 100°C and can be worked with and carved just as marble or glass. All fixtures manufactured with the VetroFreddo can be cleaned with any type of non-granular soap, using soft sponges or towels. To remedy scratches, the damaged area should gently be rubbed with a cloth soaked in olive oil. In case of deeper scratches or damage, a special replacement glass paper is available from the manufacturer for every color. Pert is a technological polymer of great quality, combining a low specific weight with high mechanical resistance. 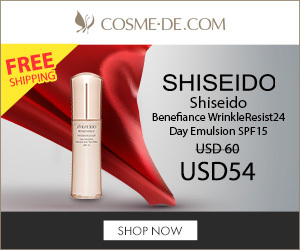 It is particularly suited to fields where light weight is essential (e.g. in nautical, aeronautical). It is a material which enables the creation of products of high design, allowing perfectly crafted angles and a smoothly plane surface, with the possibility of choosing among a wide range of colors to suit individual demand. 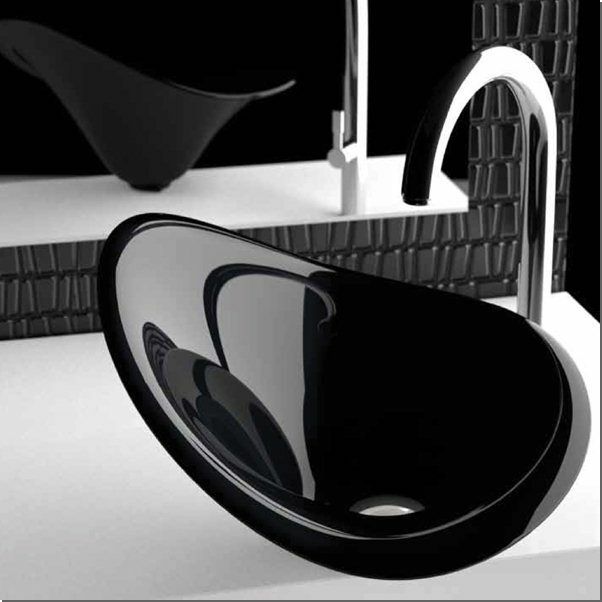 Vessel Sinks are available in matt and polished white, matt and polished black, Ferrari red, platinum, gold leaf 3D and silver leaf 3D. Pedestals are available in white, black, Ferrari red, gold leaf 3D and Silver leaf 3D. 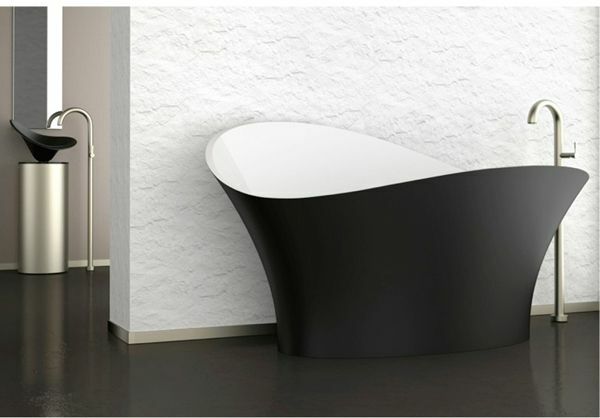 The bathtub is available fully white , or in bi-color finishes : black mat/white , Ferrari red/white, or with gold or silver leaf and white. White and chrome pedestal cabinets are also available for added storage while keeping the minimal design aesthetic. 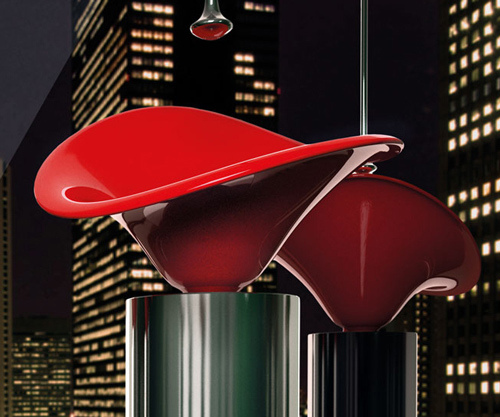 FLOwer is a highly stylish design collection – it’s basically haute couture for the bathroom. The new Cubix Vessel from JSG Oceana, LLC is a top mount vessel measuring 15.75″ x 15.75″ x 4.5″ h. The “Cube” pattern is quite striking and adds a 3-Dimensional to the bath. The Cubix vessel is available in the following colorations: Crystal, Crystal Reflections, Champagne Gold, Black Nickel, and Fawn. JSG Oceana sinks are made of “Hard Roc” Glass, a unique formulation of borosilicate glass created by Jeannette Specialty Glass for Oceana. 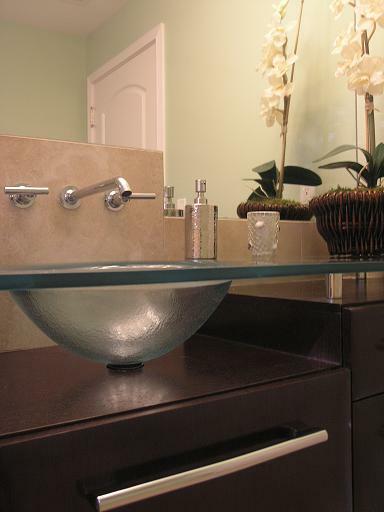 All of their glass bathroom sinks are easy resistant to stains, scratches, and thermal shock (heat.) JSG Oceana Glass is non-porous making it very hygienic and easy to clean. 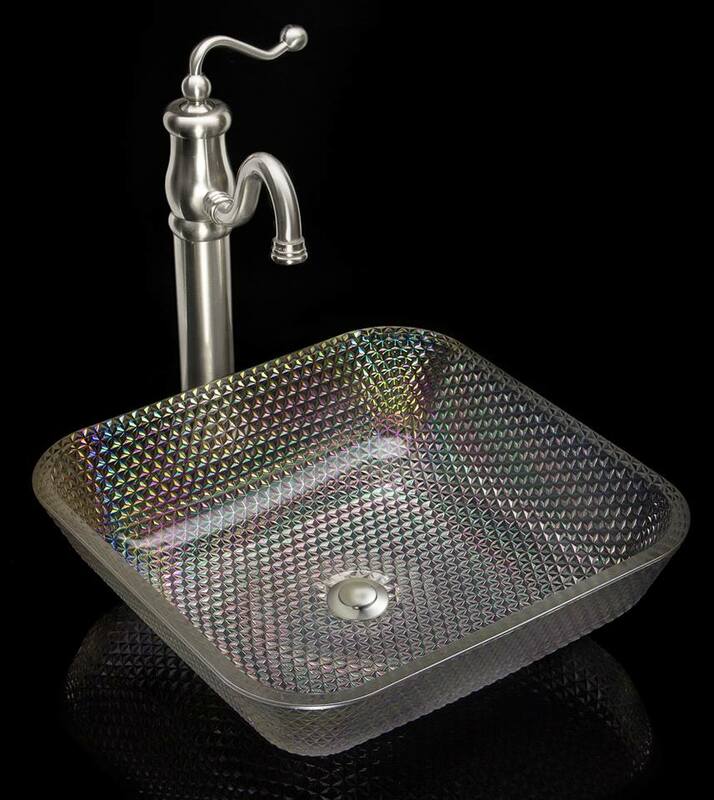 All JSG Oceana glass sinks are made in the USA and are offered with matching glass tile. The Cubix vessel will be on display at the Kitchen&Bath Industry Show in Las Vegas February 4-6 in JSG Oceana Booth N327 in the Las Vegas Convention Center. With all the new technology being applied to kitchens and kitchen design it is no wonder homeowners are taking advantage of the ability to customize their kitchens to their own personal tastes. Customers today are used to affordable luxury. Gone are the days when you have to shop at high-end stores to get designer names and styles. The same Marketing that places Polo and Calvin Klein in Costco stores has trickled into cabinet manufacturing. Cabinet manufacturers are now showcasing unique and exotic veneers in their standard line-up of species offered. Homeowners are gravitating towards these offerings because it lets their home stand out in the crowd. According to the Timber Products Company, a quality wood product supplier in the cabinet industry, the technology behind Engineered Veneers has also contributed to the increase in veneer popularity because new cost-savings and consistent appearance add value. 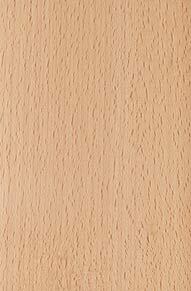 It’s no surprise Bamboo veneer will be popular this year. 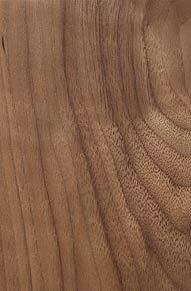 Other species to be fashionable are Beech, Walnut and Knotty Alder for it’s eye catching rustic appeal. Using veneers with knots or in a dull luster are now giving homeowners with traditional tastes access to material they never would have considered using before. I often tell clients who really like a unique veneer but are hesitant to commit to it to consider using it for a specialty piece such as a refrigerator armoire or small island.